Rafale deal: On Monday, The Hindu publication reported that Rs 58,000 crore Rafale deal between India and France involved major and unprecedented concessions from the Indian government, with critical provisions for anti-corruption penalties and making payments through an escrow account dropped days. Just a day after new revelations in the Rafale deal that has given a new boost to the Congress’ campaign for upcoming national polls, it has come to fore that before a fortnight of Prime Minister Narendra Modi’s announcement of procuring 36 fighter aircraft from France, businessmen Anil Ambani held a meeting with the top advisors of then French Defence Minister Jean-Yves Le Drian’s at his office, a media report has said. The meeting was attended by Le Drian’s special advisor Jean-Claude Mallet, his industry advisor Christophe Salomon and his technical advisor for industrial affairs Geoffrey Bouquot. The report further said that at the meeting that held in the fourth week of March 2015, Anil Ambani expressed his desire to work with Airbus Helicopters on both commercial and defence helicopters. 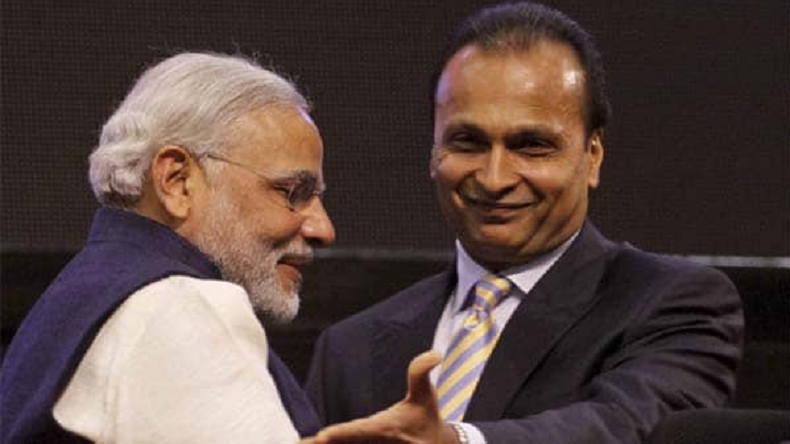 When Anil Ambani visited the French Defence Minister’s office, it was known that Prime Minister Narendra Modi would make an official visit to France from April 9-11, 2015. Ambani was also a part of the PM’s delegation during the visit where the deal for 36 Rafale aircraft was announced by Modi and then French President Francois Hollande, it said. Former French Defence Minister’s spokesperson and Anil Ambani have not yet responded to the latest revelations in the controversial Rafale deal. From the very beginning, Congress has been accusing PM Modi of snatching the deal from Hindustan Aeronautics Limited (HAL) to benefit businessman Anil Ambani, who is considered close to PM Modi. The controversial deal has now become a major issue for the Opposition-led by Congress for parliamentary polls due by May. With Lok Sabha polls just a few months away, the Congress party has intensified its attack on Prime Minister Narendra Modi accusing of benefitting businessmen Anil Ambani in the Rafale deal with France. Congress President Rahul Gandhi and her sister Priyanka Gandhi were seen holding an effigy of Rafale jet during a mega roadshow held in Lucknow on Monday. On Monday, The Hindu publication reported that Rs 58,000 crore Rafale deal between India and France involved major and unprecedented concessions from the Indian government, with critical provisions for anti-corruption penalties and making payments through an escrow account dropped days.